What a cute picture. Looks like they had a great time. 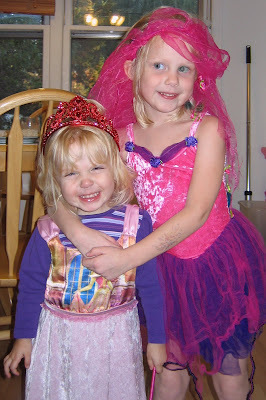 It was fun coming home to the girls in their "finery"!